When you think about an alternator, you must give some thought to its job function. The job of an alternator is to satisfy an electrical load. For passenger cars and trucks, this is a simple, mechanical process and nearly any stock alternator does the job adequately. With few exception, passenger cars do not put forth a substantial electrical load, even at idle. Larger specialty vehicles, however, don’t always perform well with a stock, run-of-the-mill alternator. This is because these types of vehicles have functions well beyond driving from point A to point B. A fire truck, for example, has a myriad of electrical functions. From the hook and ladder to the flashing lights and sirens, all of these instances require a large electrical load. When you think about the placement of a fire engine at the scene of the emergency, it’s clear why a stock alternator doesn’t work well here. A fire engine requires a lot of electrical energy while at idle. While there are stock alternators specifically designed for heavy duty vehicles such as fire trucks, these alternators also require the engine to idle high, causing high RPM. Unfortunately, this solves the electrical threshold problem, but causes a host of other problems. Eco-Tech alternators use patented magnet technology to produce an alternator that can withstand a high electrical threshold, but without putting unnecessary wear and tear on the engine. An Eco-Tech alternator can generate the same amount of power as its competitors – but at a lower RPM. 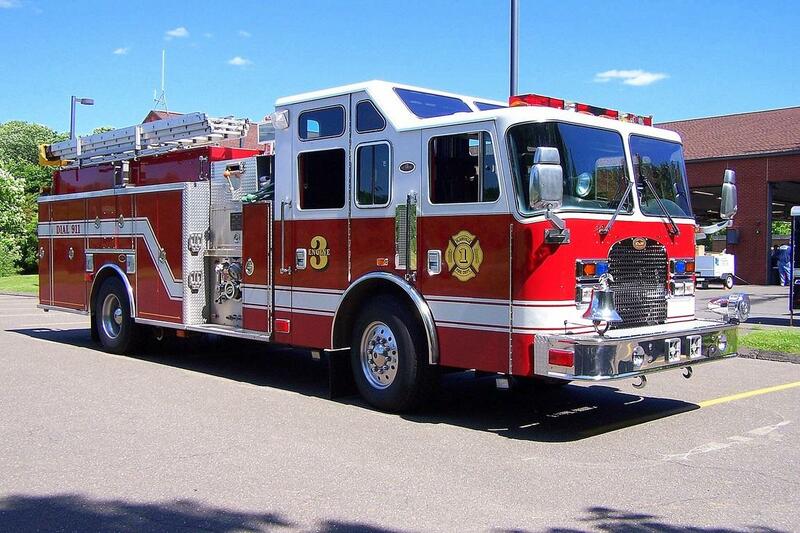 An Eco-Tech alternator satisfies the fire truck’s electrical load at idle, without putting unnecessary wear and tear on the battery, the engine, and the alternator itself. Stock heavy duty alternators need to be replaced more often, wear out the battery more quickly, and drain the engine because of the high RPM problem. Our fire department replaced the original alternator on our front run engine with an Eco-Tech alternator several years ago. We had been experiencing multiple electrical issues with this particular apparatus as it spent a lot of its time idling at emergency scenes such as medicals and vehicle accidents. Our mechanics were searching for something to alleviate our problems when they discovered the Eco-Tech alternator. After they installed the new Eco-Tech alternator on the engine our issues disappeared. We now have plenty of amperage for emergency warning whether we are idling or doing pump operations at an emergency scene. This alternator has proven to be reliable in every aspect of this vehicles operation. 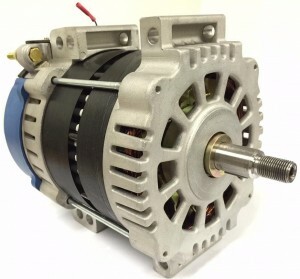 A stock heavy duty alternator can also cause unneeded expenses in other areas. Fire truck fleets often have to install other expensive components on their trucks to even make a stock alternator work. These types of extra components can include load shedding devices, high idle devices, and multiple battery packs. A switch to Eco-Tech eliminates the need for any of these extras. Refer to this article on Medium.com for more detailed information and a more in-depth look of how Eco-Tech alternators can lower costs. Lastly, an engine that idles high simply costs more in fuel. By switching to Eco-Tech, the fuel penalty is deceased by up to 52 percent, while decreasing engine drag by 50 percent. The choice is clear – make the switch to Eco-Tech today, and improve cost effectiveness and efficiency within your fleet. Call (203) 230-3000 to speak with a member of Eco-Tech’s professional staff, or fill out the Contact form for more information.